As a thank you for participating in the American Heart Association Kid’s Heart Challenge by collecting/donating money for Jump Rope For Heart, the Lancaster Barnstormers and Hershey Bears would like to give you a complimentary ticket to one of their games. Please click on the link below for more information. The Gertrude Hawk candy has arrived! If you placed an order you may pick it up in the office from 8:30-4:00 Monday thru Friday. Please feel free to call the office if you have any questions. Thank you for the $! I noticed today that the whiteboard in the gym had my name on it. Upon further inspection I saw that it was a shout-out from Mr. McCabe. Our class raised the most money for the American Heart Association through the Kids Heart Challenge / Jump Rope For Heart initiative at school. I am thankful for all of the donations our students were able to collect to help kids with special hearts. 6K’s Trinity Mowery raised the most money for Eshleman – awesome work, Trinity! Mr. McCabe needs our help! He is planning an activity and needs to collect as many cardboard paper towel rolls as he can get his hands on. If you have any (cardboard insert only) to donate, he greatly appreciates your support. Good luck to our Math Bowl team! Eshleman’s 6th grade team will participate in the annual Math Bowl competition. 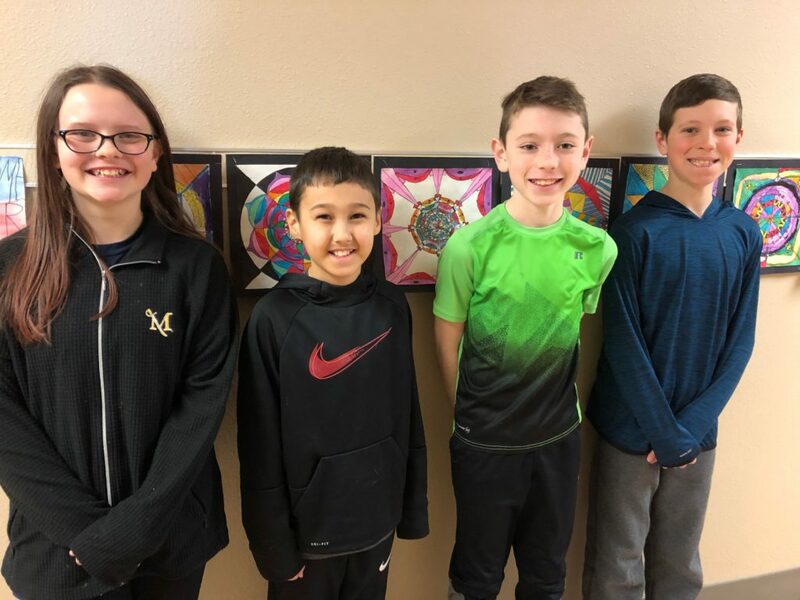 Our team members are: Andrew Gallion (6K), Evan Lee (6K), Trinity Mowery (6K) and Jack Hightower (6B). We are proud of you! Today’s event will take place at Hambright Elementary at 1:30.